Everyone’s heard at least one horror story about renting in New York City. And for a lot of people, the nightmare tales are second-hand news, but as the city’s slimy real estate market reaches Ghostbusters 2 levels, you face a greater chance of getting slimed yourself. 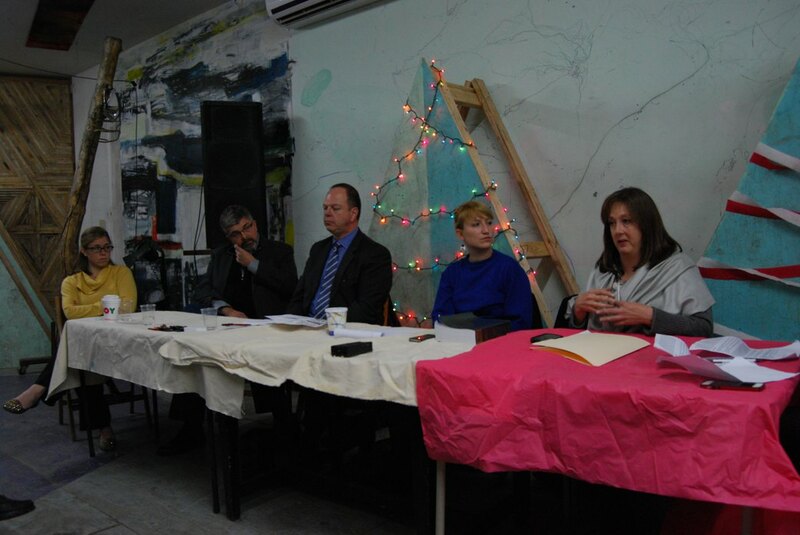 Silent Barn hosted a housing law forum on Dec. 8 to arm residents in this ghoulish housing market. The event was moderated by attorney Genan Zilkha, who brought together five lawyers versed in housing law and tenants’ rights. Discussion opened with a brief explanation of rent regulation and rent-stabilized apartments. In a stabilized apartment, landlords may increase rent by a set percentage every year—as determined by the city’s Rent Guidelines Board—according to Sarah Robinson, a Bushwick resident and attorney working for the Ridgewood Bushwick Senior Citizens Council. Once a stabilized unit’s legal rent hits $2,500, however, the building is off rent stabilization and can be rented at market rate, explained Katie Brennan of the Legal Aid Society. Landlords cannot raise your rent mid-lease or during month-to-month arrangements, but, they can jack it up 20 percent if a unit becomes vacant (i.e. the lease ends and you move out) or if they make substantial renovations. While Bushwick has a large stock of stabilized units, the number has been decreasing dramatically over the last decade, partially due to high tenant turnover and renovations. So how do you know if you live in a rent-stabilized apartment? Ultimately, you have to check with the city, but there are some indicators. Typically, a rent-stabilized building has six or more units, was built before 1974 and has not been gut renovated, Robinson said. She explained it’s important to find out whether your apartment is rent stabilized. Some landlords overcharge hoping no one’s paying attention. “This is rampant in Bushwick,” Robinson said. If you want to know whether your apartment is rent-stabilized, you can contact the Division of Housing and Community Renewal (DHCR) at rentinfo@nyshcr.org and ask for your apartment’s rent history. They’ll need your address and a name on the lease. If the rents spike anywhere, or there are years missing, it might mean something fishy. If you suspect your landlord has been bilking you, the DHCR can investigate. If it finds that you were overcharged, the landlord could get a fine and you could get a rent abatement, said landlord-tenant attorney David Kaminsky. Even if you don’t live in a rent stabilized unit, you can bargain with your landlord over rent increases, though you might have to go to court over it. “Rent is not unilateral,” Kaminsky said. When it comes to negotiating with your landlord, there’s power in numbers. Tenants have a right to form a tenants’ association to collectively bargain with building management, according to attorney David Frazer, who specializes in loft law. Buildings must have at least three units to organize, he added. “I encourage all lofts to form tenants’ associations,” he said. Frazer advised getting as many residents on board as possible to maximize power and minimize legal costs. Sunday’s conversation also turned to eviction. If a lease ends with no renewal, the landlord generally has the right to give you the boot, the attorneys said. But if your landlord accepts payment for a period after the lease has expired, it turns into a month-to-month arrangement, and the landlord has to serve a 30-day eviction notice through a licensed process server before kicking you out, Frazer said. You should only pay month to month after a lease, though. If you pay month to month and never had a lease, request one through the DHCR. The lawyers stressed getting everything in writing—leases, sub-lets, agreements between roommates—everything. You’ll have an easier time in housing court if you have strong documentation. “Document everything,” said Danielle M. Wanglien, a lawyer with Norris McLaughlin & Marcus. Who pays for the apartment upkeep? A common question during the forum was who has to pay for apartment upkeep. Landlords are responsible for the condition of things like paint, windows and outlets—tenants are liable for damage, but not everyday wear and tear, Kaminsky said. Landlords must handle infestations including bed bugs and roaches, Frazer added. The attorneys said housing court can be dicey because the city's Office of Court Administration sells information about proceedings to private companies, some of which compile the info into so-called "tenant blacklists." "It's actually a source of revenue for the court system," Frazer said. If you do find yourself on one, it doesn’t mean you’ll be out on the street. Typically, only big real estate brokers use the lists, and workarounds a like larger security deposits can assuage wary landlords, he said. The panel recommended asking for a stipulation from the court that outlines the reason for the proceeding and it's outcome so future landlords can verify your side of the story. If you missed the forum, there may be more on the way. Zilkha said she is already planning additional events. Check our calendar for upcoming dates. Silent Barn is in the midst of a winter fundraising campaign to finish building renovations and to improve infrastructure, according to their fundraising team. For more information, go to silentbarn.org/donate.